Finally, after a couple months of waiting, this weekend saw the battle to end all battles: Venom vs. A Star Is Born. Fans of slimy alien tongues took on fans of that “Shallow” song, superhero nerds battled musical romantic drama nerds, and Riz Ahmed nerds squared off against Lady Gaga nerds. It all came down to this. So which movie won the box office this weekend? Which one will go down in history as the biggest movie of all time (or at least the first weekend in October)? Come on, it was obviously Venom. Everybody knew it was going to be Venom. The Spider-Man-free spin-off of the Spider-Man movies tentacled its way to just over $80 million, breaking the October record set by Gravity in 2013 by more than $20 million. 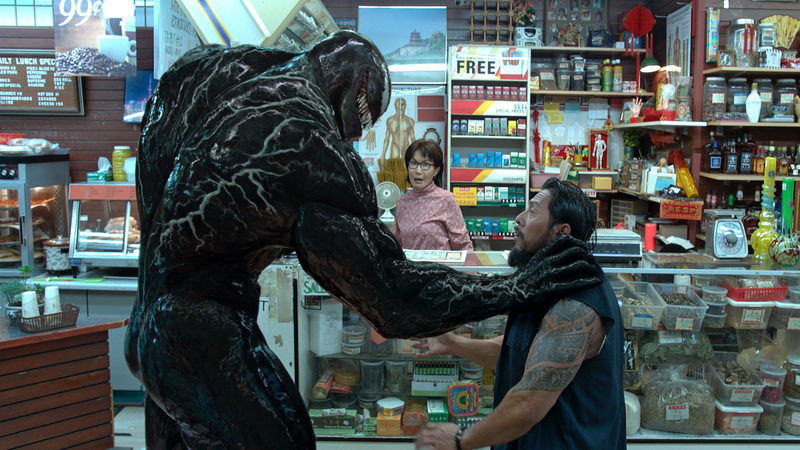 Venom reviews haven’t been particularly great, with our own Jesse Hassenger saying it’s “reminiscent of the post-Spider-Man, pre-MCU superhero pictures, but Box Office Mojo suspects that the reviews might not impact Venom too much going forward because there aren’t any other superhero movies coming out until December. That’s practically a drought, so we have to get our superhero fix in where we can. As for the weekend’s other major competitor, A Star Is Born was no slouch. It made a little more than $41 million, enough to get a spot in the list of highest October openings of all time and make back its budget. The holdouts from the last few weekends all dropped way below Venom and A Star Is Born, with Smallfoot landing in third at about $14 million and Night School making almost $13 million. Neither of them were making a ton of money even when they were new, but The House With A Clock In Its Walls added another $7 million to its surprisingly impressive haul and both The Nun and Crazy Rich Asians made over $2 million despite having been in theaters for five and eight weeks (respectively).